What's Happening Around Moose Jaw? Visit the Heritage Inn Hotel & Convention Centre Moose Jaw’s page on Facebook to find out what is happening around the hotels by clicking here. 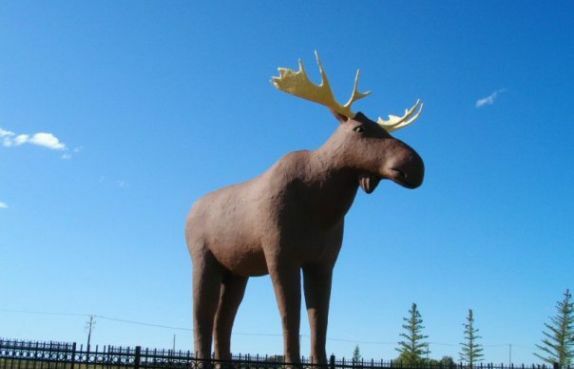 Do You Know Who Mac the Moose Is? The Western Development Museum in Moose Jaw features the history of canoe, travois, cart, horse and buggy, railroad automobile and aircraft, with pride of place going to the 431 Squadron Snowbirds, Canada’s premier aerobatic team. If you are an art or history buff, you’ll enjoy the walking tour of the historic town’s older buildings with their more than three dozen wall murals. Explore the historical Tunnels of Moose Jaw with two very different guided tours, featuring the story of early Chinese immigration to Canada or a wild tale about bootleggin’ Al Capone. For more casual entertainment, Moose Jaw is home to the WHL Moose Jaw Warriors, Mineral Spa and Casino Moose Jaw. Download Tourism Moose Jaw's Must See's, Must Do's map below. Or check out Tourism Moose Jaw, City of Moose Jaw or Tourism Saskatchewan's website for more information about this great city!